Pit Bull Behavior is exactly what pit bull owners require to manage their four-legged furry friends! 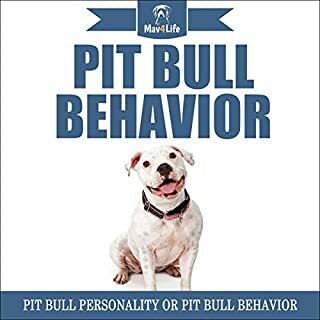 This audiobook provides dog owners with all the tips for learning about pit bull personalities and behaviors. Pit Bull Puppies is exactly what every future Pit Bull dog owner needs to hear! This audiobook provides dog owners with all the foundational tips for acquiring a Pit Bull Pup. 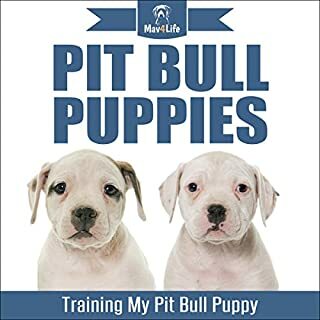 Mav4Life® dives into rules & boundaries of raising a Pit Bull pup. The least a new dog owner can do is treat your BFF as the gem they are, considering the undeniable devotion a Pit Bull will have for their owners. 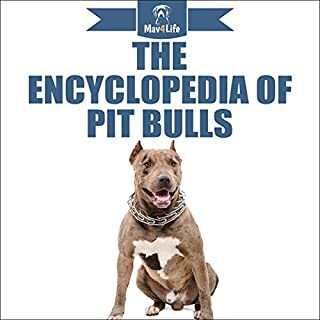 The Encyclopedia of Pit Bulls is exactly what every dog owner needs in learning about pit bulls! 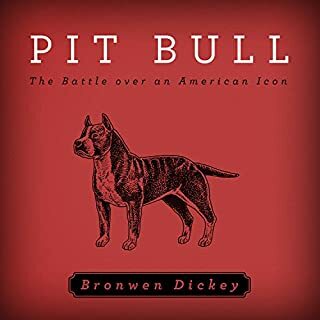 This audiobook provides dog owners with the heritage and history of pit bulls. Mav4Life® educates future dog owners with why a pit bull would be a great dog choice, steps on how to decide on choosing a pit bull, and all those false myths on this particular breed. Why not invest a bit into why pit bulls are a great choice, as this four-legged animal deserves a great home today! Pit Bull Breeds is exactly what every dog owner needs if about to adopt or purchase a pit bull dog! 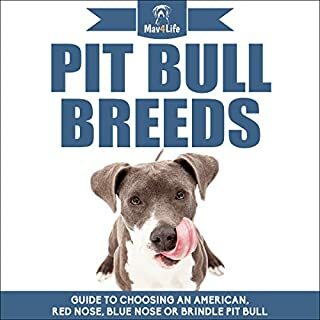 This audiobook provides dog owners with the all the differences in pit bull options available today for future dog owners. Mav4Life® dives into the differences in owning an American and a Staffordshire, or whether a pit or bull terrier a better option. The least future dog owners can do is spend some time researching their options before making a decision. When Bronwen Dickey brought her new dog home, she saw no traces of the infamous viciousness in her affectionate, timid pit bull. Which made her wonder: How had the breed - beloved by Teddy Roosevelt, Helen Keller, and TV's Little Rascals - come to be known as a brutal fighter? Her search for answers takes her from 19th-century New York City dogfighting pits - the cruelty of which drew the attention of the recently formed ASPCA - to early 20th-century movie sets where pit bulls cavorted with Fatty Arbuckle and Buster Keaton. Mav4Life focuses on creating durable, fun and friendly premium products. From leashes to walk your dog, to toys your pets can play with anytime. Mav4Life will always do its diligence to provide the customer with more each time whether its free reads, discounted content or access to information other product producers won't provide. We continue to focus on giving the customer more than just the purchase of our products. We primarily release content to educate our audiences in the areas of dogs as their pets! Pit Bull Rescue is exactly what a future dog owner interested in pit bulls is looking for! This audiobook provides dog seekers with the ins and outs of rescuing a pit bull. Mav4Life® covers why pit bulls are a great dog to rescue and information on exactly what to expect in a pit bull rescue. 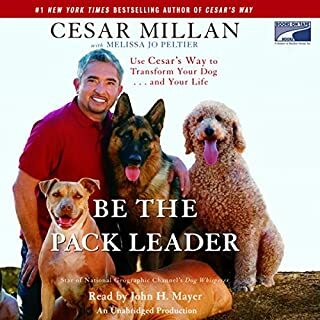 After more than nine seasons as television’s Dog Whisperer, Cesar Millan has a new mission: to use his unique insights about dog psychology to create stronger, happier relationships between humans and their canine companions. Both inspirational and practical, A Short Guide to a Happy Dog draws on thousands of training encounters around the world to present 98 essential lessons. 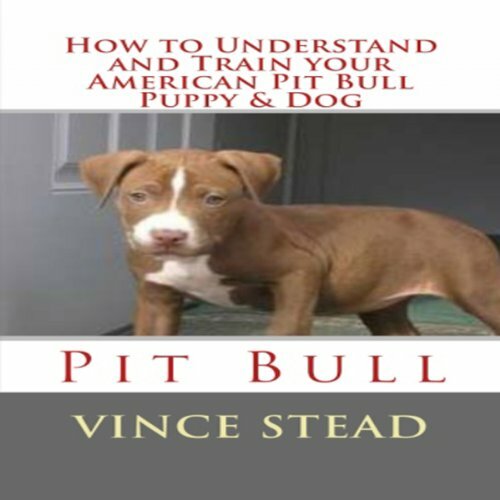 Learn how to raise and train your American Pit Bull puppy and dog to be good. Learn some behavioral tricks to make living with your dog much easier and fun, and much more! Everything about this audio book is worthless. If I could give it less than 1 star then I would have. And its not worth my time to drill into details why. Take it from me DON'T buy this worthless book.